In 2017 the loading Speed of your Site is going to matter a whole lot than it did 4 years back. Improving your Site load speed will prove to be a plus point for you both in terms of SEO as well as your Audience. Google counts the Website speed as one of major SEO factors for ranking your Contents in the SERP. Now having said that Increasing your wordpress speed optimization plugins will not only give you an upper hand in terms of SEO, but a lighting fast loading will be a treat for your Real Human Audience. No people would like to visit a Website that takes more than few seconds to load a single page. And if your Website loading is slow than you just might be loosing a lot of potential customers, which could bring a big difference in your revenue as well. Now if you are running your Website or Blog on WordPress than you are in Luck because WordPress provides you with number of Plugins that allow you super fast & simple caching which will surely increase your sites speed. There are plenty of good themes available in WordPress such as studiopress used by many bloggers and mythemeshop well known for its good load speed, also you can avail discount using mythemeshop Coupon and save some $$. And if you want your Website to perform better in search rankings, than you should be sure to keep your site Loading Speed on the list. For which, proper site installation is very important for proper site Structure, SEO & Speed. If you wanna know what I do on my new wordpress blog, check my wordpress beginners guide step by step tutorial guide which I consider doing on my new blog on the first half hour. If you go for any Plugins to increase your site speed than there will be number of them available. But which is the best WordPress Plugin for You?. Well, we are here answer just that. And here we will be providing not only One but Six of the Best WordPress Speed Optimization Plugins to Increase Your Site Speed. We have tried out number of different WordPress Plugins that tend to boost the Site Speed of any WordPress Site. But we have found out this 6 Plugins to be among the best and they surely does their work to the optimum level. And if you want to take your Website to the next level then surely this are some of the WP Plugin that you should certainly try out to boost up WordPress Website Speed. W3 Total Cache is one of the best caching Plugin in the market currently. We have been personally using W3 Total Cache on multiple Sites and after a successful installation of this Plugin it was able to boost the Site up to 10 Times. Apart from the caching feature that it allows its users. It has number of other different options such as Minifying, CDN Support, Browser Caching, Object Caching and other number of option that will help your boost your Website speed. It is a complete all round Plugin for WordPress Site Speed optimization. But if you are a newbie then I would really suggest you not to go for this Plugin because it has lots of options & features to customize with. If you are comfortable with tweaking with your stuff than W3 Total Cache is one of the best WP Plugins for WordPress Speed Optimization Plugins. WP Super Cache is another Plugin that we will suggest for WordPress Sites speed optimization. It is one of the most popular Plugins in this category with more than 6 Million Downloads. It has number of different features & specification that you can try out on your WordPress Site which will surely help you to minimize the sites load speed. WP Super Cache comes with features that enable you to do multiple caching, CDN Support, Serve Static HTML Files and many more. And when it comes to caching surely this is one of the best WordPress Speed Optimization Plugins. If you are not that kind of a technical guy & you don’t like to tweak with your stuff than WP Fastest Cache will be the best WP Plugin for your Site Caching. It allows you to do your stuff in a very simple way which includes clear your Site Cache in One Click. You can just download the Plugin, Install, Activate and get your thing running. Apart from that this Plugin also comes with some advance stuff such as minified CSS, minified HTML, CDN Integration and much more. This Plugin is surely simple but it surely does it work and help you reduce your site speed to a minimum. Don’t Forget to Read: How to Convert a WordPress Website into a Mobile Application? Apart from the Cache that your site has another main reason that your WordPress Site might be slow is because of the Images that you have uploaded and used on your Blog or Website. And the best way to minimize the heavy impact of Heavy images that slows the loading speed of any Website is by optimizing the Images to make the size smaller. Now smaller in size of images does not mean that you will actually need to go and degrade the quality of your Images. Well, that is what most of the Image optimizer Plugin does with the Images. But not WP Smush.It. This Plugin will Optimize and Smush the Images of your Site my maintaining the Quality of your Website Images to the best. BJ Lazy Load is another WP Plugin that will help you minimize the impact of the Images that is loading when any users access your Website. Now what this Plugin does is that it tend to stop any Images from Loading from certain section of the Site which are still not accessable to the Visitor. It means that until the User scrolls down the Screen of the Device to access the Website it will not fully load up. This Plugin surely tend to save a lot of loading time for any site and it surely make any Website load at a superfast speed provided used in combination with other WP Plugins. Revision Control is the last Plugin in our list of WP Plugins to boost the loading speed of any WordPress Site. Many of the Webmaster might not feel that this Plugin is as important as other Plugins but let me assure you that this will have a huge impact on your Site speed if used properly. Now what this WP Plugin does is that it allows the Webmaster to have a control over the number of revision to be saved for any content. Generally, if a user creates any content on WordPress by default it will save as much as revision that you tend to make. It will surely make up for the loading speed of any WordPress Blog. If you want to keep your Site loading speed I will advise to to keep the number of revision to the minimum. Now to conclude this list of best WordPress Speed Optimization Plugins to Increase Site Speed. I will personally suggest you to use multiple site with combination to each others to get the maximum out of your Site Speed. But I will not suggest you activate too much amount of Plugin at one go. The secret lies in using a perfection combination of Plugins. I personally go with W3 Total Cache for Optimizing Cache in my Site, WP Smush for Optimizing Images, BJ Lazy Load to Control the loading Images on my site and lastly I use the Revision Control Plugin to control the amount of Revision saved on my Dashboard. This combination really worked for me. And I am pretty confident that it will work for you too. And you are sure to achive pretty fast loading speed on your WordPress Website. Hello friends, I am Khakchangri Debbarma, Co-founder & Director of Chrometechny Networks Pvt Ltd. I love to manage blogs and write blog post on various topics like fashion, health, blogging, lifesyle and few more. Apart from blogging I love travelling and listening music. Nice article. Loading speed of a site depends on a lot to increase visitors and return visitors. We have to maintain regular good article, but site speed should be such that visitors never feel annoyed. Thanks for sharing this article. But according to me, WP Smush is perfect. My blog site loading time was almost half a minute, and I had been facing this problem for a long time. As I wasn’t aware of it, my friend informed me about it. as I guess it also helps in speed, correct me if I am wrong. Great article. Loading speed is very important for SEO. I am already using w3tc plugin and lazy load plugin. Finally got the plugins, thanx for sharing such a great idea. Thank you for the great article. Are those plug in and the plugins you use in conclusion work fine with Yoast SEO or will be some conflict yoast seo? To transform a normal blogging website into a fully-fledged e-commerce store, you will require an appealing theme, a few great plugins and of course some great products to showcase and collect orders. Setting up and promoting an e-commerce store on WordPress is pretty simple. 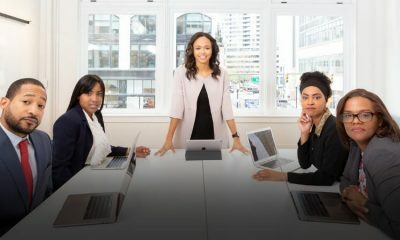 You can find a number of templates, themes, and plugins in the marketplace, but choosing the best ones to promote your e-commerce store is a task. So, here we will have a look at the WordPress plugins that you can use to promote your e-commerce products or store and let your customers enjoy a hassle-free shopping experience. It is a perfect e-commerce platform for those who are looking to promote their e-commerce store or its products. It is a very lightweight plugin which is easy to configure. It comes with all the necessary tools required to sell your digital products. Easy digital downloads plugin includes a shopping cart where people can buy multiple products at once and a coupon code system where the users can buy products with discounts. It also supports various payment gateways like PayPal, Amazon and more. The plugin also allows you to get all the statistics details of your earnings. Jigoshop is a plugin made with a difference. It is one of the leading plugins for e-commerce stores with its management and tools stand out in the crowd. It is a professional plugin and best suited for promoting e-commerce stores and products with its performance. It is highly customizable and feature-rich and comes with great functionality. The plugin comes with various tools like multiple payment gateways, multiple shipping methods, stock tracker, statistics of orders and sales, and a detailed report of store performance. Cart66 Cloud is another WordPress e-commerce plugin, which is the easiest to use. There are a number of features in this plugin too that can be integrated to create a joyful shopping experience for its users. The plugin provides multiple currency facilities so that customers from various places can enjoy shopping at your e-commerce store. A few of the features of this plugin include managing orders, providing multiple shopping options, running promotions, integrating affiliate platforms, calculating taxes and more. The plugin is easy to configure and use. This is another best plugin that can be used to promote your e-commerce store. 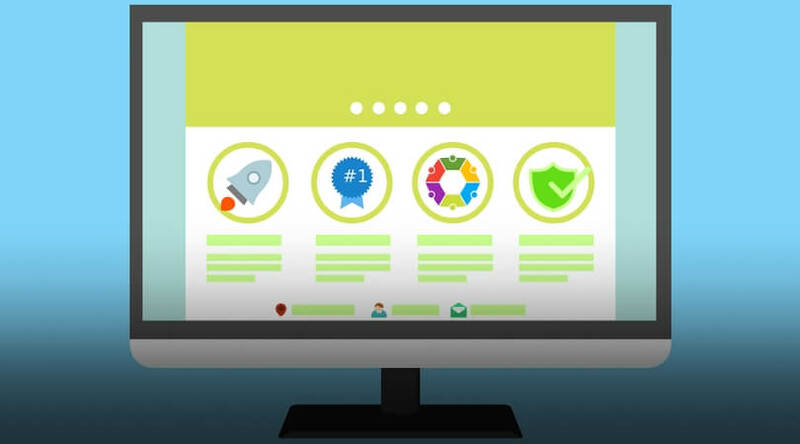 It is basically a review plugin that showcases all the testimonials and reviews that you have received from your customers. You have easy customization options in this plugin which you can use to display the reviews in your own way. The plugin comes with a drag and drops widget, displays the title of the review, review category, content and rating along with the name and location of the reviewer. It is a fully responsive plugin that can be used in any language and on any website. This plugin works a great deal in promoting your business with the help of reviews from your clients. You can visit the website here to download this plugin. Payhip is an elegant plugin that provides simple to use landing pages for selling products on an e-commerce website. It is neatly organized and is filled with features for visual art, purchase buttons, product descriptions and more. The plugin manages all of the sales processes efficiently and provides detailed statistic reports with complete insights on the sales. It is additionally useful in promoting your e-commerce store as it comes with a feature to sell on social media as well. You can also promote your products in the form of discounts and coupons displayed on your website with the help of this plugin. These were some of the best WordPress plugins that you can use in order to promote your e-commerce store or products. There are numerous plugins for WordPress available out there, but you have to analyze the plugins based on the needs of your website and select them accordingly. For now, these are the 5 best WordPress plugins to promote an e-commerce store or Products. So, go ahead download them and make the most of them to generate sales. WordPress Performance Websites get tens of millions of hits every day. WordPress blogs like TechCrunch, CNN witness high amounts of traffic every day. Most of the times the WordPress performance gets hampered and don’t work if the server crashes. This is not the fault of WordPress as it is already a complete, robust software. It’s just that our websites have not been optimized to handle that much traffic. They are designed to handle little to moderate traffic at the most. We need to make WordPress sites fast for the same. Optimizing the WordPress blog is not a very difficult task to accomplish. Cloudflare is the most popular CDN used everywhere. This method reduces the load on the server as copies of the files are stored in multiple data centers around the globe. CDN acts as a support and prevents your website going offline. Every website uses images and they are generally of high quality. The image file size dramatically affects your WordPress website performance regarding speed. The image files load slow, and hence, the site also takes more time to load that can affect SEO. Use WordPress plugins WP Smush to compress the image file sizes from MB to few KBs. Ensure that all the image files are in a proper format. JPG and PNG are the most preferred image file format. Limit the number of images you are using on your website. Use CSS and JS compression to compress those files. You need to monitor your website regularly to check any abnormalities in speed. Your page load speed should be kept bare minimum. Ideally, it should load in 2 to maximum 3 seconds. WordPress websites should have less loading time for better user experience. Caching increases your WordPress website performance. You can do server-side caching which might be a complicated process for you if you are not a programmer. Nowadays, numerous WordPress caching plugins on the market will automatically do the work for you. Cache is a temporary storage area. The files you request from any web page are stored on your hard disk in a cache subdirectory under the directory for your browser. When you return to a page you’ve recently looked at, the browser gets those files from the cache rather than the server, saving the network from the burden of extra traffic. W3 Total Cache is one such plugin. It caches your dynamic web pages as static pages reducing the load on the servers. Recommended Tools to Optimize Your WordPress Performance. Cloudflare apart from its effectiveness has low-cost plan which is an added advantage to the user. It is easy to register your website here and it also provides a 24X7 awesome backup support. It is a premium CDN service and you have to pay a little for its service. Little better than Cloudflare, it also provides you with real time analytics. It has real time network with in almost every country in the world. WP Smush compresses your image from MBs to a few KBs in size. You just need to upload your image and click compress, and your task is done. No complicated process. Is involved. Moreover the quality of image is never compromised. TinyPNG is another tool to compresses your image and is very easy to use. Most of the popular blogs uses this tool only. It is also available on mobile devices and it supports animated stickers too. It is a very versatile plugin. Pingdom makes WordPress site fast and also helps you identify the areas which are making it slow. It also gives you tips to help you fix those. It is greatly used in identifying broken links in your website. W3 Cache reduces the load of excess traffic on the servers. It is a WordPress Performance Plugin which is freely available for download. It is one of the primary tools which are installed when anyone develops a WordPress website. It generates static HTML files from your dynamic website. It reduces the loading time of your blog considerably and helps in better SEO performance. It is very much similar to W3 Total Cache. It makes your website respond faster to to the search engine queries. 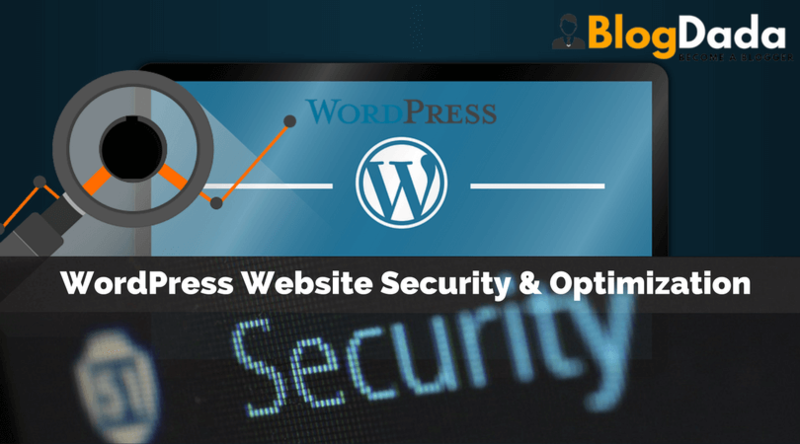 It is a plugin by WordPress Website Security that includes many features related to web security, analytics and marketing. It is an all in one solution for optimizing your website. Jetpack gives you ultimate security and it backs up your content daily to make it safe in case of any breach. If we are to summarize, then, in short, it is very important to optimize your WordPress Performance websites for better performance. Make use of the available tools, most of them are free or may have paid plans. Increase your reach and make your website stand out from the rest of the others.